Coelurosauravus prehistoric lizards. Computer illustration of two Coelurosauravus sp. 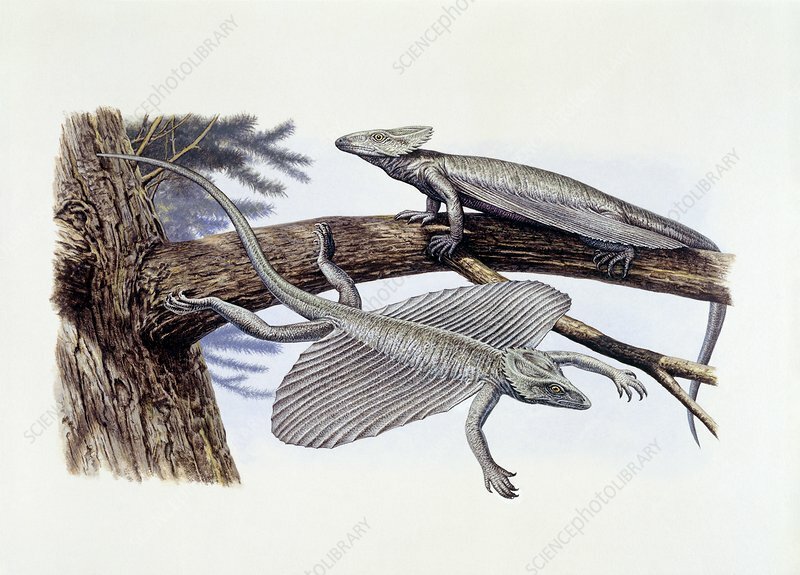 lizards in a tree, showing the specialised wing-like structures that allowed it to glide. Coelurosauravus lived during the Upper Permian period (around 250 million years ago).